As part of the consultancy services offered by GPGillespie, as well as running a business's Adwords campaign, for those who have an existing campaign, we are able to advise as to how to improve it's performance. Although we offer the service of running a person's or business's Adwords campaign, sometime clients come to use looking for Adwords help and advice rather than a management solution. 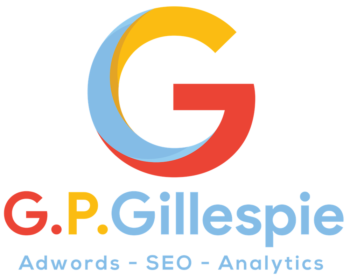 As a result of this, the MD of GPGillespie, Greg Gillespie, offers a consultancy service for those looking for Adwords help in the form of "one to one" sessions. This services allows clients to get the Adwords help and support they want without looking to sing up to a contract or outsource the entire campaign in an advertising agency. Customers have the choice to purchase time with Greg on a PAYG basis in order for him to look at an existing campaign and answer any questions you may have. Alternatively, if you're looking for Adwords help in the form of ongoing support then longer term consultancy can be arranged. Not only does Greg run Adwords campaigns himself but he is also asked to lecture and teach for other organisations on the subject. In 2019 he has been asked to lecture at the UCL School of Management in Adwords which is one of the world's top universities on their MSc program. Book your free 30 minute session with Greg today.